The Evolis High Trust® range of consumables is specifically designed to deliver premium graphic performances and ease of use. 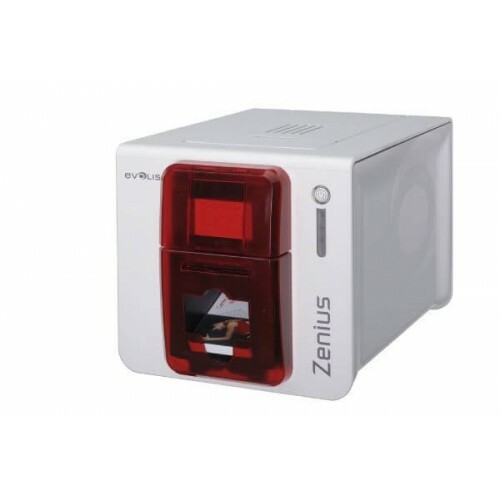 Installing the ribbon cassette is a simple one-step process and thanks to a chip, Zenius instantly identifies the ribbon type and configures all settings accordingly. The printer's operation can be managed entirely right from the user's interface and through pop-up notifications on the printing status, ribbon availability and maintenance tasks.